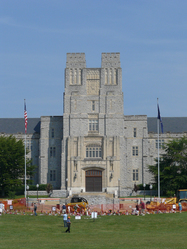 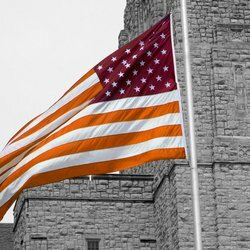 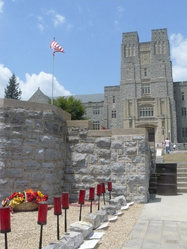 Drillfield memorial stones and Burruss Hall on 4-19-07. 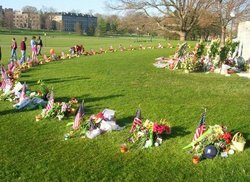 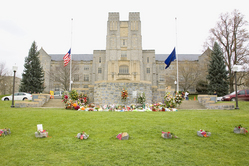 Memorial Stones in front of Burruss during the first week after the tragedy. 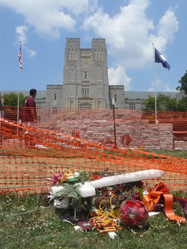 These are part of the 32 stones for the victims near Burruss Hall. 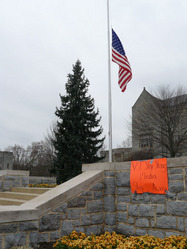 Sign in front of Burruss Hall reading &#39;VT Stay Strong Media Stay Away.&#39; By around this time I was sensing that this sentiment was shared by growing numbers of this community. 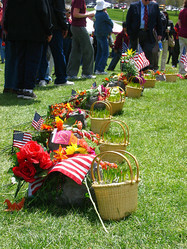 Photo taken April 19, 2007.